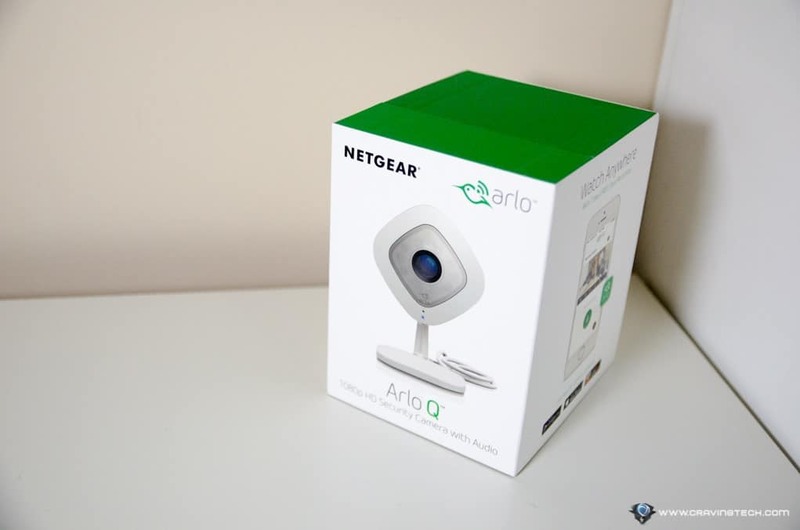 NETGEAR Arlo Q Review – The NETGEAR Arlo Wire-Free I reviewed before at Craving Tech was a wireless HD security camera done right. It’s weatherproof, has a night-vision, and best of all, can be set anywhere you like – indoor or outdoor without constraints. However, constantly monitoring a premise that has lots of movements (even if you have scheduled it) is not always a viable solution. Batteries get drain rather fast as it has to constantly turn itself on to record. 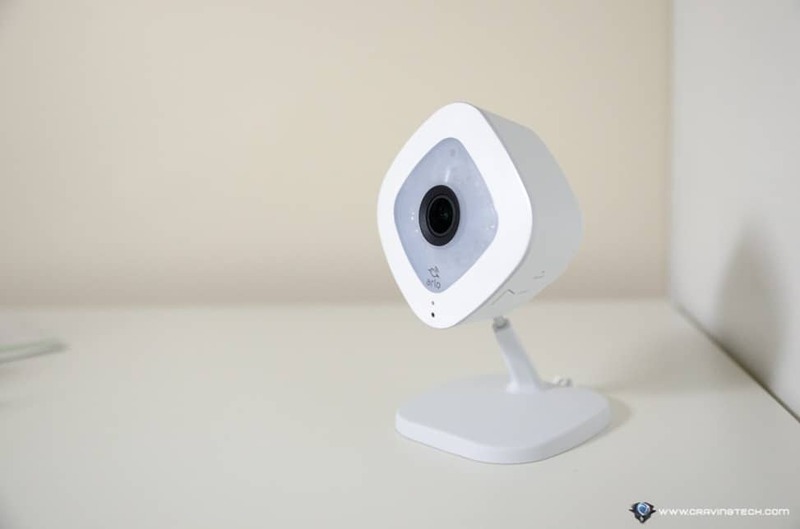 The new Arlo Q by NETGEAR is a wired/powered solution, meaning it can afford to constantly record 24/7 with better resolution and other features compared to the wireless Arlo. The NETGEAR Arlo Q is not wireless and that is okay if you are going to place it indoor. 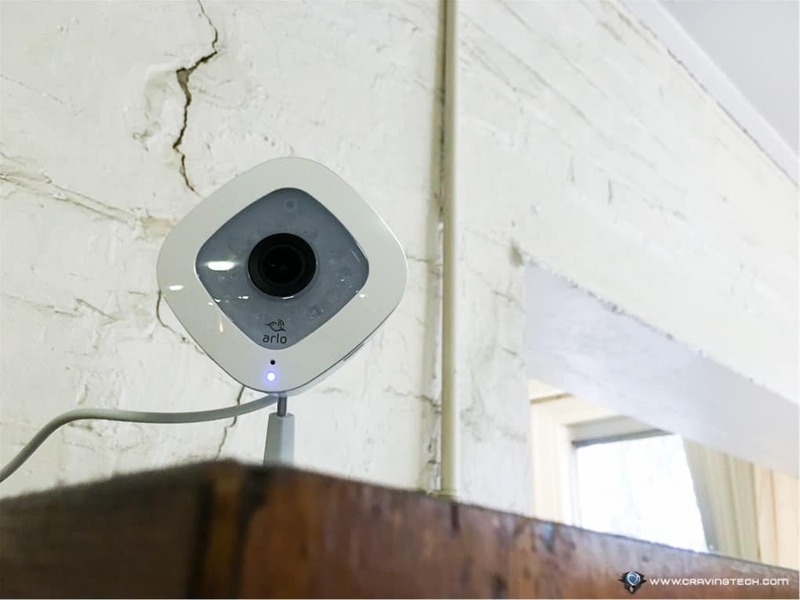 By having it powered all the time, the NETGEAR team has less constrain in putting all the bells and whistles into the security camera. Obviously, whether you need the wired or wireless solution is entirely your decision and depends on your particular needs. 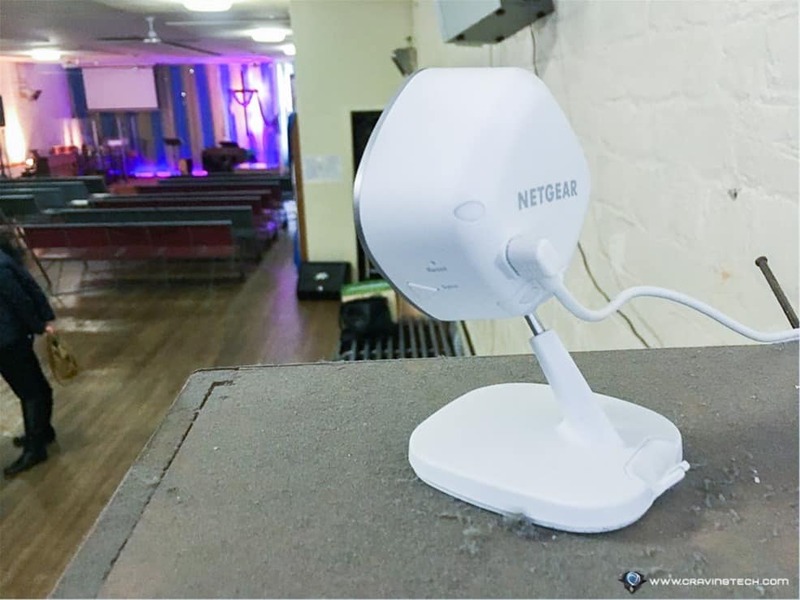 I had the original NETGEAR Arlo wire-free set up at our church to cover the entrance/exit points and had it record any activities at certain times. The problem we had was there were too many activities to monitor, causing the camera to wake up and record videos frequently. It’s a different case if you only need to monitor an office outside working hours where no one usually comes in (or outside your house entrance after midnight). 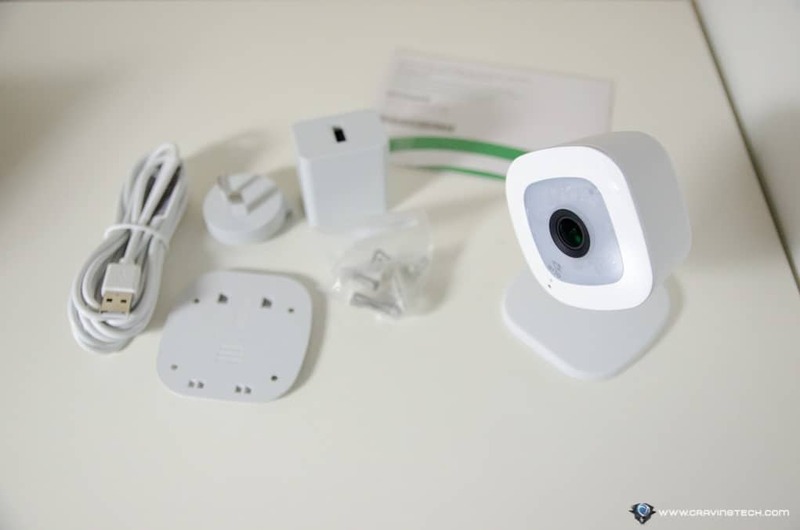 As replacing the batteries every few months is not entirely cheap, we are happier with another solution that the new Arlo Q provides, in exchange for flexibility. 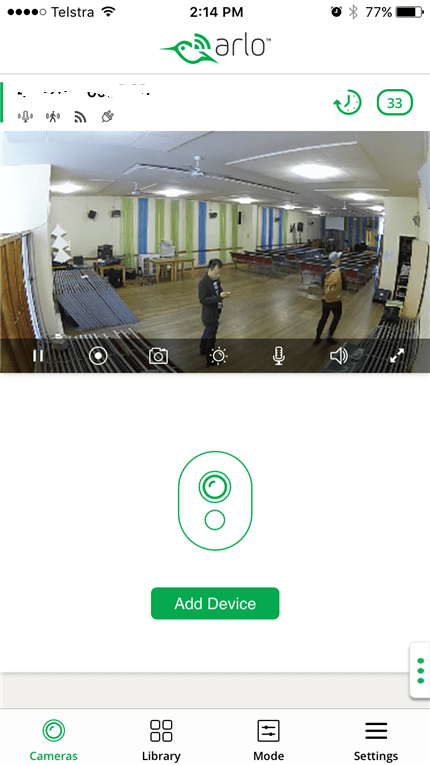 Setting up the Arlo Q was fairly simple though it requires a step where I needed to listen for a beep, which was quite challenging when you have to set the camera up during busy hours. An account set up is also needed, but it’s free and will work for all other Arlo devices you may purchase in the future (or have purchased). There is also a choice to turn the Blue LED off (to indicate that the camera is running) to make Arlo less visible in the room. 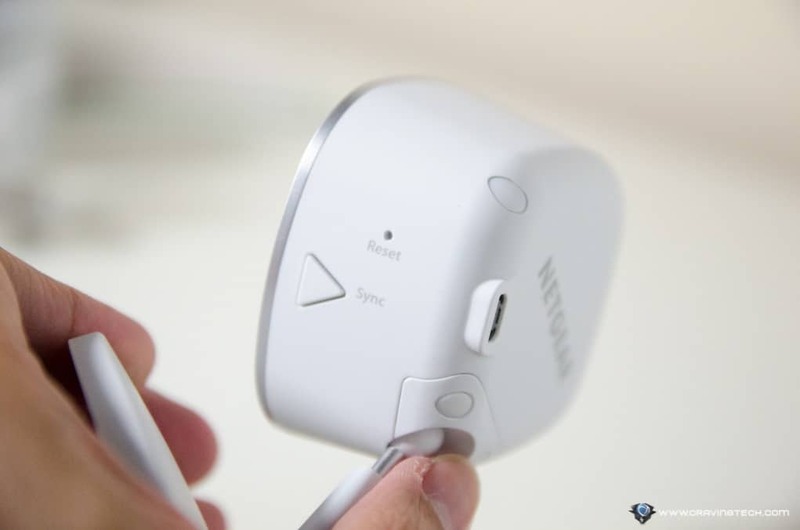 Arlo Q can record videos up to 1080p resolution (you can change the setting) and you can watch them anywhere in the world (via the mobile app, or online with a web browser). You can then share the link or even download the files to your computer. However, don’t expect to see the same video quality as 1080p (or even 720p) movies you’d normally watch. 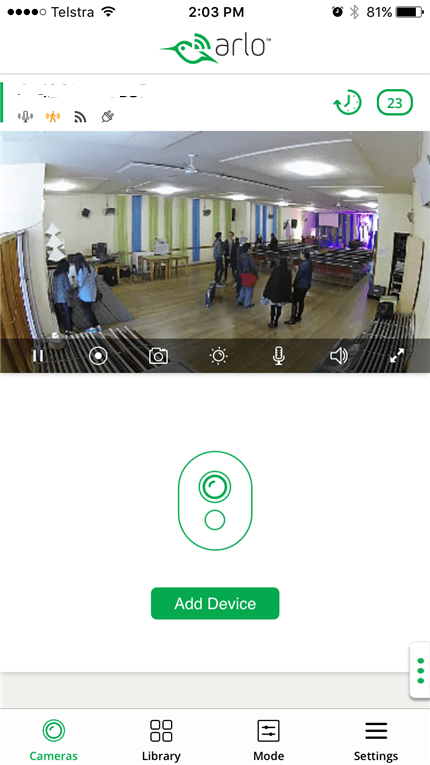 Clips from NETGEAR Arlo Q still have some noise even if you set it to record in 1080p and images are kind of blurry when the subject is moving (like walking, for example). After all, it’s all about the camera lens – bigger pixels do not mean better quality. 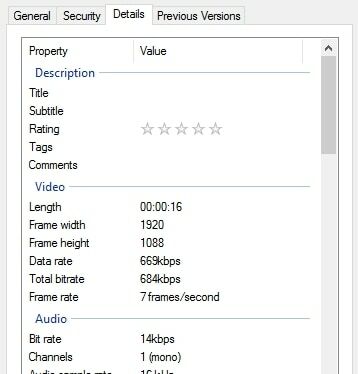 However, having a bigger resolution does help better in identifying what’s happening in a clip (compared to smaller resolution video clips). NETGEAR Arlo Q also records sound and provides two-way interaction, thanks to its built-in microphone and speaker. For example, let’s say you get a “motion detected” notification when someone comes into the property. 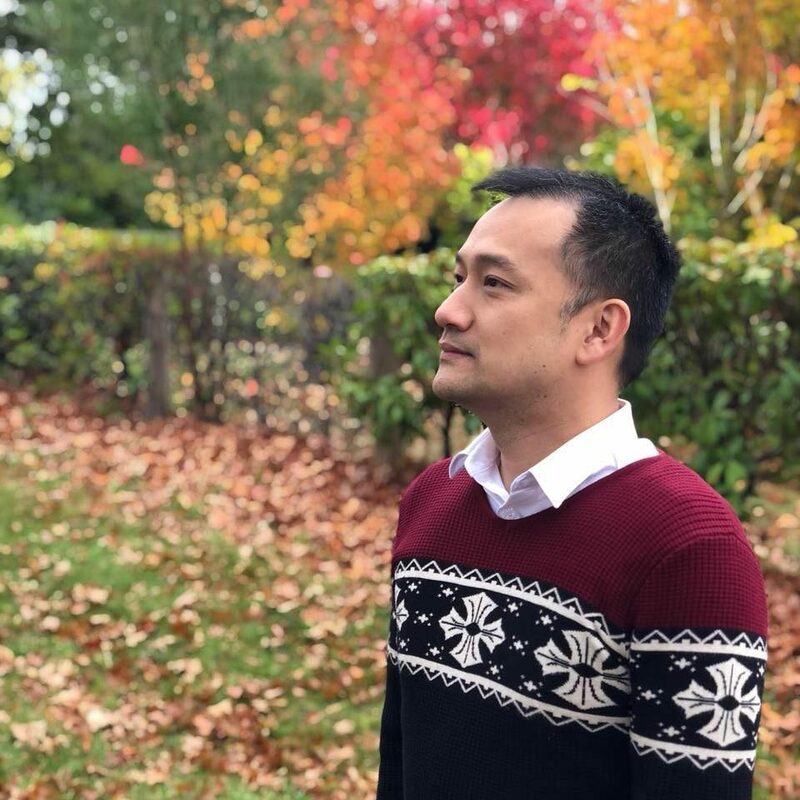 While you are checking with the mobile app to see who it is, you can also talk to the person via Arlo Q from your phone (maybe to ask why he or she’s there, etc). Or, scare a thief away. 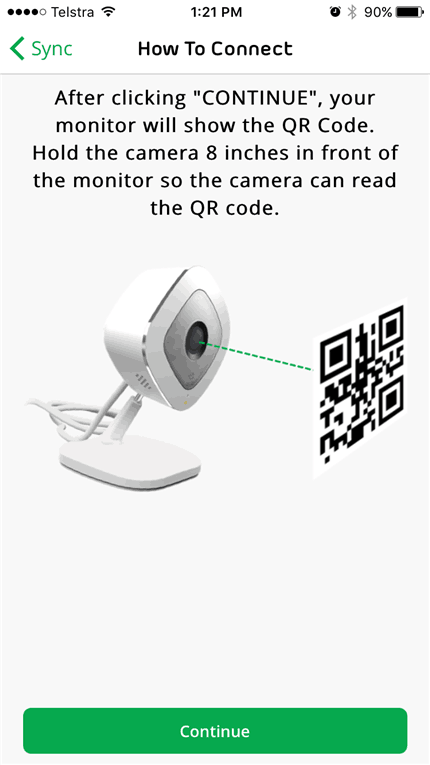 If you use the Arlo Q to monitor your baby, this means you can talk to your loved one as long as there is an internet connection. Or shout at your dog for being naughty, thinking that no one is around. NETGEAR Arlo Q Night Vision automatically turns on when the environment gets dark, constantly monitoring and recording even if the lights are out compeltely. There is no need to set up a NAS (Network-Attached Storage) or setting your router up to store the recordings. All recordings will be uploaded and stored in NETGEAR servers automatically through your Wi-Fi network. The videos can then be viewed anytime, anywhere. 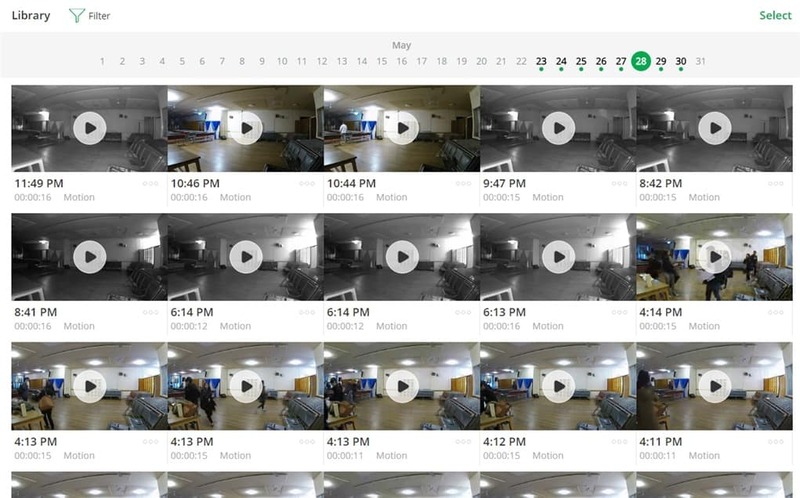 Under the free account, Arlo Q only records when a motion is detected but you’ll get a generous 7 days of recordings stored. It does not seem to matter how much space it takes (i.e, how many recordings you have in that 7-day period). I’ve had a ton of recordings in in a week and NETGEAR didn’t seem to complain. If you want a traditional 24/7 continuous recording, however, you’ll can go for the premium plan. You can change other setttings such as setting the motion sensor sensitivity and defining the area for the motion sensor to cover. When viewing a recording, you can share the link to other people (without sharing your Arlo account information) for insurance purposes and even download the clip to your computer. Access can also be shared to others by sending an invite to their email address. The iOS app even has a TouchID support which is a plus, and shows how NETGEAR puts effort and focus in the app department as well. 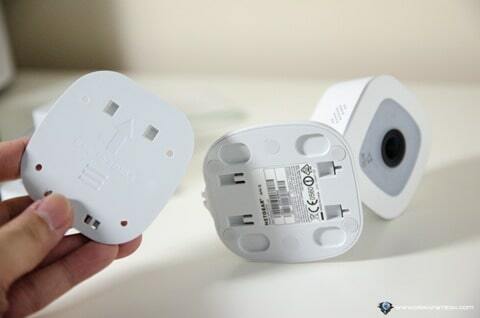 IFTTT (If This Then That) is also supported so you can set your Philips Hue LED bulbs to turn on when a motion in Arlo Q is detected (for example, to scare the intruders away). I’m personally happy with NETGEAR Arlo Q, even with the free account. The camera records only when motions are detected, which means if you ever needed to search the archives, you don’t waste time trying to find that specific timeframe. The free account also records up to 7-day of activity which is plenty enough should you need to go back and check at the logs. 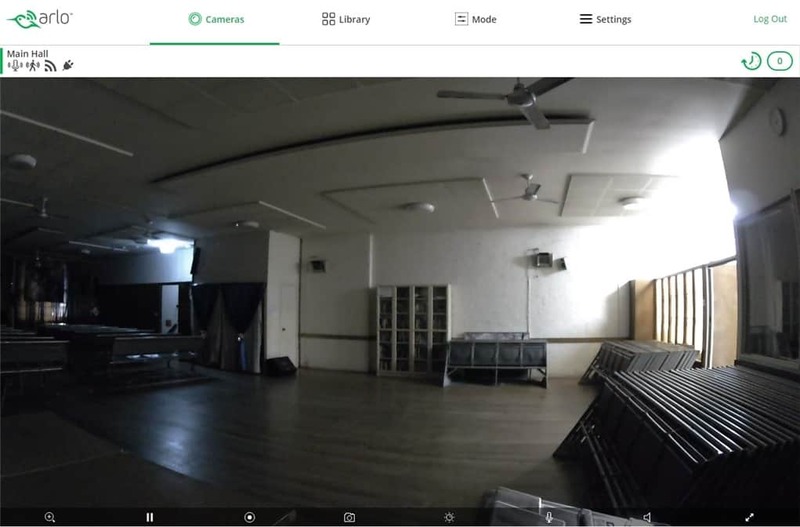 Recordings are of good quality and the system allows you to set up multiple Arlo cameras within a single account to work in tandem. 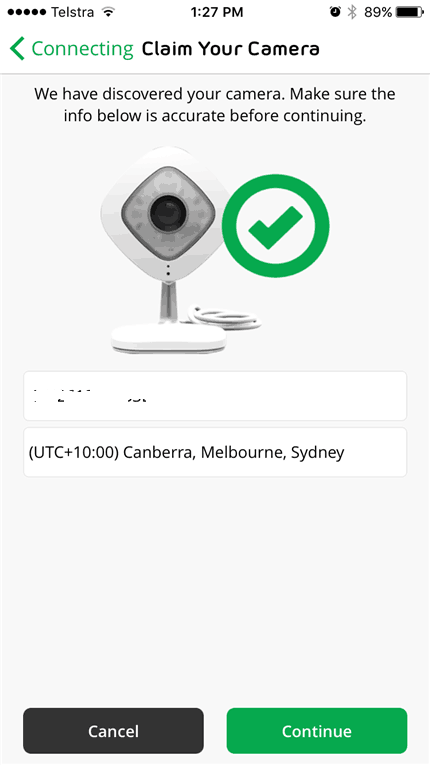 NETGEAR Arlo Q can be purchased at major retailers in Australia such as Harvey Norman, JB Hi-Fi, and Officeworks.